When it comes to finding beauty products that actually work, Amazon is my go-to. I always read the reviews and love finding what Amazon’s top beauty buys are … and today, I’m sharing the best ones under $25! A few highlights include this Christina Moss Organic Natural Face Moisturizing Cream, it has over 4,500 five-star reviews! Also, The Wet Brush Pro Detangle Hair Brush is only $8, has over 6,500 five-star reviews. I’ve used this brush for years and it’s amazing, I can’t brush my wet hair with anything else. It’s also a gentle brush if you have hair extensions too. 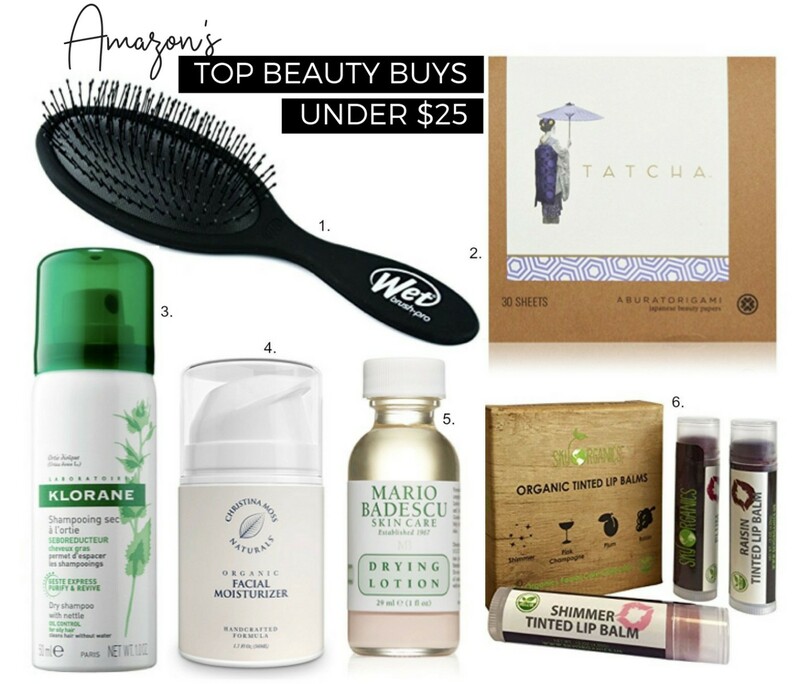 Have you got any recommendations for fab beauty finds under $25? Please share your tips in the comments below – I think referrals from friends to find the best products is invaluable, so let’s all help each other! Klorane Dry Shampoo is the best! I use the tinted version! I love Klorane dry shampoo, and I think the powder version is even better than the spray (it’s supposed to be better for your scalp too)!